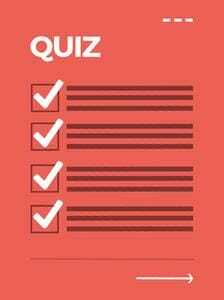 Our quick and easy quiz will help you pinpoint exactly how to get started in tech, in hardly any time at all. With all the lucrative, flexible jobs being reported in tech (side note: many of these tech jobs don’t require a computer science degree), and growing opportunities to have a tech career outside of tech companies, you might find yourself asking how hard it is to find a tech job in the first place. One of the most popular positions for tech newbies to apply for is that of a junior web developer (sometimes listed as an entry-level front-end developer). If you’re here because you’re wondering how to become a web developer or how much you can expect to make from a junior web developer salary, good news: you don’t need to go back to school to get a bachelor’s degree and start developing websites as an entry level web developer for serious money. Why? 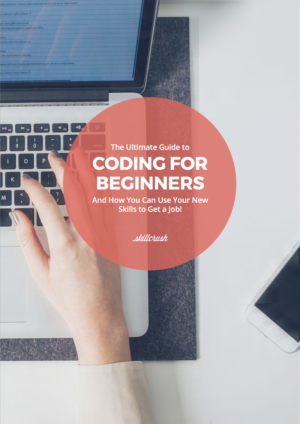 Because you can pick up the skills you need to land a junior web developer position without ever setting foot in a college classroom again. 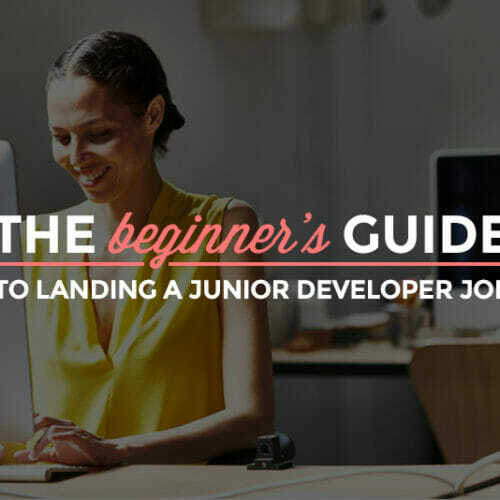 We’ve rounded up a list of 12 essential steps to take on the way to landing junior web developer jobs. As an added bonus, you’ll also find some details on other common questions (like “how much is junior web developer salary?”) and some of the starting skills web developer jobs require, so you can start building up your resume. Your portfolio is the first thing potential employers will look at when considering you for a junior web developer position, so your site needs to be a real reflection of your skills and personal brand. But, before you can load up your portfolio, you need to code it, launch it, and make sure it stands out from other websites. Once you’ve got your portfolio site built, it’s time to load it up with some core portfolio projects for tech beginners. You’ll want to include any work you’ve done for companies or clients (with their permission) that you feel particularly good about, and remember to include projects that show your range as a design and developer. What’s important here is that you’re uploading strong, clean work that is indicative of both your skill level and brand. A great way to get some work for your new junior web developer portfolio if you feel like it needs some beefing up is to seek out freelance clients. 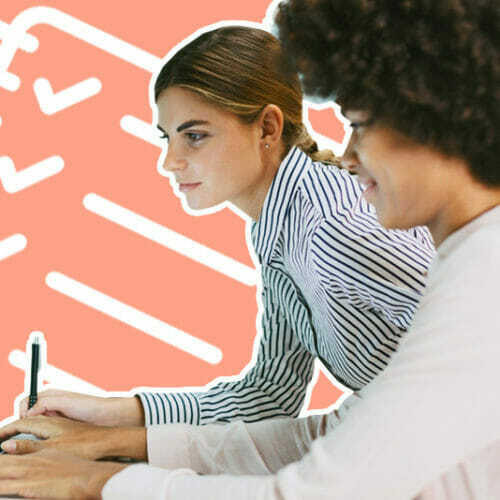 Taking on projects as a freelancer will help you build business skills like negotiating, establish trustworthiness as a developer, and get you some up-to-date recommendations to show potential employers. It’ll also give you the chance to gain experience for full-time entry level web developer jobs (if that’s your goal) while building up your bank balance. The projects don’t have to be huge ones—you can offer, for example, to re-do the navigation for a local restaurant’s website or to create an HTML newsletter for a charity organization. Both are great portfolio pieces for your shiny new website. You also might consider doing some charity work yourself—in the form of pro bono projects. You won’t be bringing home any bacon from them, but they’ll beef up your portfolio, give you a way to network, and you can actually make unpaid projects pay off for you in lots of ways that will boost your job search and career. Github is the industry-standard for version control, and many companies want to know that you have hands-on experience before extending an offer. You can prove that and show off your best code by creating your own Github account and using it as a repository for your projects. After you get an account set up, make regular contributions to GitHub. This shows potential employers that you’re consistently working on your junior web developer skills, even if they’re only for imaginary projects. Keep your code clean and organized and include concise README documentation so that employers know you’ll be able to jump right in to collaboratively coding on their teams. You can look for open source projects of all kinds and sizes on Explore GitHub. And once you find a project you’re interested in, don’t be afraid to jump in and help! Some easy first steps are reporting bugs, helping prioritize issues, beta testing, working on the project’s website, or improving documentation. You can’t turn around nowadays without bumping into a hackathon! They’re a fun and exciting way to get to know tech people who share your interests, help tackle relevant problems, test your coding skills, learn from others, and maybe win prizes! At a hackathon, you’ll end up coding on a team, and if you’ve been learning to code on your own, proving you can hack it (I’ll show myself out) with a team of coders makes you a lot more appealing to hiring managers at web development agencies. 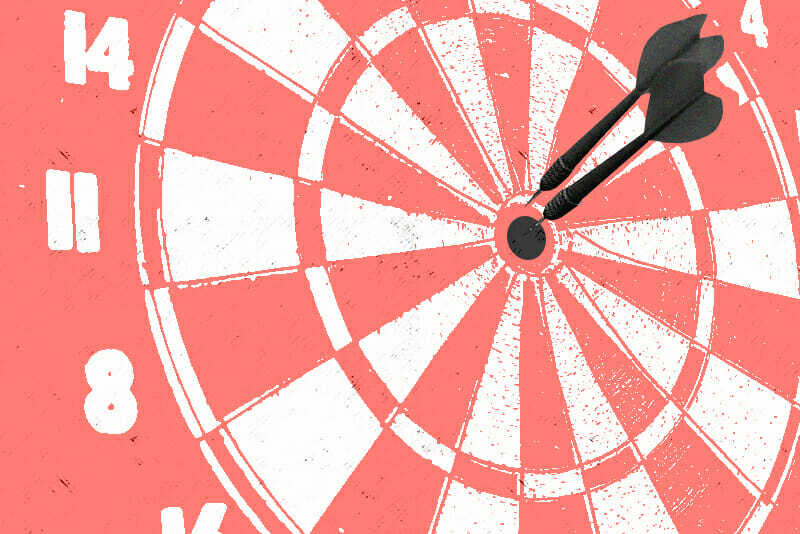 To find hackathons near you or online, try searching sites like AngelHack, hackathon.io, and ChallengePost. And remember to keep your eye out at the event for sponsors and recruiters. Many a web developer has gotten noticed at a hackathon and offered a job right on the spot! Hopefully you’ll gain contacts at hackathons, but don’t let the networking stop there. Keep reaching out to the people you meet, and learn more about the web development industry by talking online and in person. The easiest way to do this is through tech meetup groups. Almost every city has them, and if yours doesn’t, you can set up your own. Just pick the focus, find a place (even a coffee shop or local park will do! ), and spread the word on social media, email, or in person. Or, if you’re really not in a location that lets you get together with other techies, look for communities online. Answer questions on Stack Overflow, comment on Twitter threads related to development, or help out on the WordPress.org forum. Whether you meet in person or on the Internet, you’ll be expanding your horizons and getting to know people who can turn out to be your future co-workers or superiors at those dream junior web developer jobs. Make a point to keep up with what’s happening in tech—this is critical for both your first web developer job interview and all the small-talk you’ll be making with new tech friends. You don’t need to be an expert on every story or topic out there; just get to know what’s hot and what’s happening. You can read blogs or tech news sites over breakfast, listen to podcasts when you’re walking your dog, or scan Twitter lists while you’re waiting in line at the store. Besides keeping up on the news, you should also keep up with new skills and tools of the trade. As an entry level web developer, knowing these will make you that much more in-demand. A few that are most requested are CSS preprocessors like Sass or Less, frameworks like Backbone.js, Angular.js, or Node.js, etc. or Ruby on Rails, and a CMS (Content Management System) like WordPress. 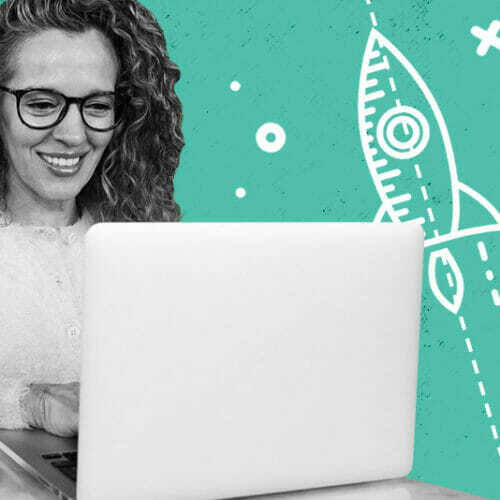 You can explore the wonderful world of Ruby through a number of resources or try the Skillcrush WordPress Developer Blueprint to learn the world’s most popular CMS. Even though your portfolio is where you’ll show off your skills as junior web developer, most companies still ask for resumes and use them to weed out candidates. That means yours needs to be as polished and professional as your portfolio. Make sure you highlight your core skills, play up any tech-related experience, and give specific details to prove your achievements and strengths. Additionally, take the time to choose a clean, easy-to read template (or design your own!) to use as a resume. There are a bunch of resume templates floating around the internet for free, and your future employer will thank you for having all your experience outlined in a clear, visually-pleasing way. Remember, you want to get hired as much as your employer wants to hire someone—why not make it easy for both of you? Now that you’ve made the extra effort with networking and skill polishing, it’s time to dive into some actual entry level web developer jobs listings. Start by simply searching for “junior web developer” on sites like Glassdoor and Indeed, and don’t worry about the company or the location. The idea is for you to see what employers are looking for and what kind of options are available in general. Keep in mind that job descriptions tend to list more (sometimes WAY more!) requirements than are really expected from candidates. Don’t let this discourage you. Many hiring managers makes their decision based on your ability to learn on the job—no one is going to know everything coming in to a new position and you’ll get some on-the-job training. Once you’ve gotten a feel for what’s out there, send out your resume for the jobs you’re really interested in. Be realistic but don’t be shy. Nobody’s going to come knocking on your door with a web dev position in hand. You have to put yourself out there. And don’t forget the good ol’ grapevine! Let all your friends, family, neighbors, and—of course—hackathon/meet-up/online friends know that you’re actively looking. You never know who has a friend who has a friend who knows just the job for you. When that shiny happy moment happens and you’re asked to interview, go for it! Even if you don’t get that first entry level web developer job (or second, or third), the experience you’ll gain from sitting down in person or via video chat with a potential employer will make you a more competitive candidate for jobs down the line. Why? Interviewing is hard. It just is. But the good news is that this learning curve can be overcome with experience. You have the skills, the knowledge, and the experience to impress an employer. Now you just need to be able to communicate that to them. Skillcrush lead developer Emily Davis says that when she interviews candidates for developer positions, she looks for “a candidate’s ability to break down a problem into small pieces that can be worked through step-by-step. This means she is likely able to identify the root cause of an issue and work from there, rather than having little or no idea where to start.” Anticipate questions like this, where the interviewer is asking more about how you tackle problems and situations overall, as it gives an idea of who you are as a professional—not just your experience with one program or language. Dress comfortably but professionally, practice problem-solving questions with a friend or family member, and research the company beforehand so that you have questions for the employer as well. No matter how your first interview goes, you’ll survive the experience, which will make the next one that much easier. Plus you’ll have a much better idea of what future interviews will be like and what you need to work on for them. In no time at all, instead of just applying for junior web developer jobs, you’ll be accepting your first one! Bonus: What is a Junior Web Developer Salary? Junior web developers are people just starting their careers in the web development industry, but entry level web developer jobs are still a lucrative jumping off point. Wondering exactly what a junior web developer salary looks like? And are you ready for more good news? As of this writing, there are over 3,000 junior web developer job openings on Indeed. If you already have the core programming languages down and are hard at work adding extras to your tech toolbelt, you’ve conquered the hardest part of the pre-application process for entry level web developer jobs. But to ensure you’re a top candidate for those junior web developer jobs, there’s also plenty you can do to prepare for the interview and application process itself. Here are twelve ways to land entry level web developer jobs—no CS degree required. 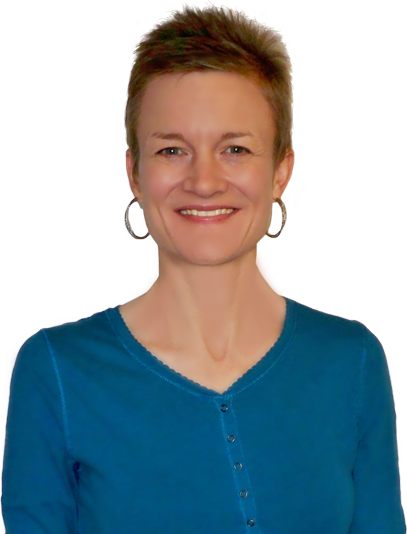 Kelli handles customer support here at Skillcrush – plus she's an early alum of Skillcrush 101! She's also taken advanced web development classes and has been an organizer in the Helsinki Rails Girls chapter. In addition to helping the Skillcrush team and students, Kelli loves tech podcasts, cute Corgi photos and, most of all, catalan-style line dancing – as a true Texan living in Finland would! I love it when people come together and share opinions. Great blog, stick with it! Tengo una placa de induccion de 5 fuegos ( la que sacaba Arguiñano en su programa), en cinco años ha tenido dos averias, una de más de 400 €, y otra, que me acaban de pasar presupuesto, de más de 540 €…..Al final, solo se usan dos tre fuegos, así que la sustituiré por una de tres fuegos, nueva y salgo ganando dinero, pero por supuesto, Fagor, no. Spot on with this write-up, I really believe this amazing site needs a great deal more attention. I’ll probably be returning to read more, thanks for the info! This is a great tip especially to those new to the blogosphere. Short but very accurate information… Many thanks for sharing this one. A must read article! This is a topic that is close to my heart… Cheers! Where are your contact details though? This is very true. It’s nice to see someone with great ideas about this. There are a lot of people in the web spreading wrong info about these stuffs. Thank you so much for posting it here. This is very true. It’s good to see some people with great ideas about this. There are a lot of people in the web giving wrong info about these stuffs. Thank you so much for posting it here. A person essentially lend a hand to make seriously articles I would state. This is the very first time I frequented your website page and up to now? I amazed with the analysis you made to make this actual post amazing. Wonderful task! This is very correct. It’s nice to see some people with great ideas about this. There are so many people out there giving wrong info about these stuffs. Thank you so much for posting it here. Things i have observed in terms of pc memory is the fact that there are technical specs such as SDRAM, DDR and so forth, that must fit in with the technical specs of the mother board. If the pc’s motherboard is kind of current and there are no main system issues, updating the memory space literally will take under sixty minutes. It’s among the easiest laptop upgrade processes one can visualize. Thanks for giving your ideas. Some tips i have seen in terms of personal computer memory is the fact there are specific features such as SDRAM, DDR or anything else, that must go with the specs of the motherboard. If the personal computer’s motherboard is pretty current while there are no os issues, updating the ram literally requires under an hour. It’s one of several easiest laptop or computer upgrade techniques one can imagine. Thanks for spreading your ideas. Le ofrecemos más de 25 años de experiencia en soluciones de climatización Junkers en Madrid, ámbito doméstico e industrial. La división de negocio de climatización se integra dentro de nuestro catálogo de reformas general en el que se incluyen también servicios de capintería de aluminio, carpintería de pvc, reformas y decoración. Somos verdaderos especialistas en la reparación de calderas de todas clases y que abastecen a pequeñas grandes construcciones. Reparamos su electrodoméstico en menos de 48 horas ó 24 horas en Servicio de Urgencia, festivos incluidos. Informamos que no atendemos averías de aparatos en periodo de garantía, no somos servicio técnico oficial Siemens en Lahiguera, sino que ofrecemos nuestros servicios para su reparación. Nuestros técnicos son expertos en la reparación de electrodomésticos de todas las marcas del mercado, teniendo especialistas para las principales marcas. Siguiendo nuestra política de calidad nuestros técnicos están sometidos a continua formación y disponen de las herramientas más avanzadas. Se requiere con urgencia, Diseñador gráfico especializado enfocado en Web con 2 años de experiencia profesional y específica en diseño de interfaces gráficas Web para portales Sistemas de Información y diseño de piezas publicitarias digitales. El mismo será el encargado de efectuar los cobros, realizar el análisis crediticio y las tareas administrativas en general. Hi, just came across this website. Its a brilliant illustration of how small to medium sized businesses can use Awards based promotion to get their companies recognised on the 1st page of Google. Awards programmes offer many benefits to winners. After all they bring publicity and you can share the news of your win with your employees, clients, industry peers and target market as many times as you like. Additonally awards offer prestige and status, giving potential customers peace of mind that they are working with a reputable company. There are many types of awards programmes, including those that host awards ceremonies (and you pay per table), organisations that award only their members (and you pay for membership and sponsorship) and those that provide promotional materials. The latter is a great choice for those who are unsure about the benefits of using corporate awards programmes because generally nominees and winners do not have to pay a penny to be a participant. Participants often receives online recognition, usually with a reach much greater than their own marketing efforts can offer. Other free benefits can include the use of an announcement. Most participants have the option to purchase additional marketing materials to further promote their win, if they wish to, for use in social media campaigns, on their own website, email marketing campaigns or in customer newsletters. If you are seeking for the top service to get website visitors to your web page, i advise to use seowebsitetrafficnet. I am using it with a great result. Simply just type “seo website traffic net” in google, yahoo and bing. Wir von Badsanierung Landshut wissen, woran Sie bei einer Badezimmer-Renovierung denken sollten: an entspannte Zeiten vor, während und insbesondere auch nach den Renovierungsmaßnahmen. Und das meinen wir durchaus wörtlich. Sie sagen uns, wie Ihr Traumbad aussehen soll – den Rest überlassen Sie ganz einfach uns. Wie das geht? Ganz einfach: unsere Experten nehmen nicht nur ganz genau Maß, sondern auch Ihre Wünsche unter die Lupe! Außerdem machen unsere engagierten Einsatzteams keine halben Sachen: sie haben stets das Ganze im Blick. Das beginnt schon bei der Planung, setzt sich fort bei der Koordination aller Gewerke und schließt mit einem breiten Grinsen auf Ihrem Gesicht ab. Damit dies gelingt, haben Sie es mit FEPA Badsanierung Landshut nicht nur mit Meister ihres Faches zu tun. Wir greifen auch auf unsere jahrelange Erfahrung bei zahlreichen Badrenovierungs-Vorhaben zurück und wissen daher: Wir von FEPA können das. Having trouble fing Jr. Developer jobs available. Only are seeing Sr. Developer and dev jobs requiring 3 or more years experience. En la última instalación el cliente quería conservar su caldera de gas para el agua caliente, por lo que le pusimos la caldera de pellets en paralelo con la de gas pero sólo para calefacción, además montamos un sistema que en caso de que la de pellets se quede sin combustible automáticamente arranca la de gas en modo calefacción para que no baje la temperatura de la vivienda. Se daría por finalizado antes de plazo en el caso de que el aparato fuera manipulado por terceras personas ajenas al Servicio Técnico. La garantía legal para los productos nuevos es de un mínimo de 2 años, y dentro de este plazo, cualquier reparación por defecto será gratuita para el cliente. Tenemos los mejores técnicos a tu disposición, pídenos presupuesto, te haremos el máximo descuento en la mano de Obra. Thanks for the sensible critique. Me and my neighbor were just preparing to do a little research about this. We got a grab a book from our local library but I think I learned more from this post. I am very glad to see such magnificent information being shared freely out there. I¦ve recently started a web site, the info you offer on this web site has helped me greatly. Thanks for all of your time & work. Yes, Why not go ahead!! Hello there, just became aware of your blog through Google, and found that it is really informative. I am going to watch out for brussels. I will be grateful if you continue this in future. Lots of people will be benefited from your writing. Cheers! I’m book-marking and will be tweeting this to my followers! Fantastic blog and terrific design. I’m taking a web dev bootcamp right now and this article makes me feel really hopeful that I will be able to land some type of position before I complete the course (which could be next month or February). Thanks Kelli, I just graduated less than a week ago with a BFA in Web Design and I seriously felt lost and in a funk for how to take that first step toward a career. I am just graduate from American College Consortium in web developer with Ruby and Rails. So I want to start job in my new field. It’s really a nice and useful piece of information. I’m glad that you shared this useful information with us. Please keep us informed like this. Thanks for sharing. AJ Ross is your full service Corporate Web Design Agency in Westchester NY serving NYC and NJ. AJ Ross Specializes in Corporate Web Design and Custom Web Development, creating powerful imagery and enticing responsive websites that drive action. Undoubtedly, It has multiple features which are useful for affiliate marketers. I am currently using Pretty Link to cloak the affiliate links. It also works fine for me. Thanks for showing an awesome alternative. Loved the post keep it up! Great posting friend. Will be back to read more. La reparación de un termo oscila los 70€, pero sustituirlo por uno nuevo alcanza los 300€. Como es mucho más económico detectar el problema a tiempo, revisa anualmente la instalación en busca de fugas, roturas y desajustes peligrosos. Es mejor contar con un buen seguro , como Electroplus , que te cubra la reparación de lavadoras, lavavajillas y frigoríficos, y contar siempre con modelos lo más eficientes posible. Lo mejor para evitar problemas es no sobrecargar el circuito eléctrico (olvídate de enchufar muchos electrodomésticos a una sola regleta, así como de comprar ladrones regletas de mala calidad y sin sistemas de protección). I’m surprised there is no mention of bootcamps and how much does it contribute to landing on a job. I guess it would require an article of its own. You commit an error. Write to me in PM, we will discuss. Badsanierung Ingolstadt Sie möchten Ihr Badezimmer in Ingolstadt sanieren, renovieren oder umbauen? Ihr Badumbau soll möglichst wenig Arbeit machen? Die kompetenten Fachleute von FEPA badsanierung.center planen und gestalten Ihr Bad neu und koordinieren alle Arbeiten – damit Sie sich um nichts kümmern müssen. Alles aus einer Hand! Vendedores profesionales para la línea de Polietileno, con al menos 5 años de experiencia comprobada en el sector, para cubrir la zona del Guayas. A. Hombre entre 22 y 45 anos de edad, b. Mínimo 1 5 cm de estatura, c. Instrucción secundaria, d. Preferiblemente haber realizado el servicio militar. Se necesita Tecnicos especialistas en Aire Acondicionado, Electronica y Enderezado – Pintura. Great article, thank you! I’m currently learning to code and hoping to start applying and interviewing soon, this article has really helped. Si le parecen poco indicadores en el parabrisas, como los cazas, alerones retractiles con la velocidad, ventanas sin marcos, asientos vibratorios, capó activo, laseres a diestro y siniestro por debajo del carromato, asistencia al aparcamiento,…. En primer lugar, los asientos vibratorios” a los que hace referencia – algo que puede llevar un C4, no lo olvide – son el aviso del sistema de aviso de abandono involuntario de carril. Realmente, son emisores / receptores de IR que detectan línea blanca, y tecnológicamente hablando, son una solución barata – y mediocre – para el sistema de aviso de abandono de carril involuntario. Thank you very much. I’m a junior web developer and I have finally found some real guidance. Este periodo comenzará a contar desde la fecha de entrega del equipo al cliente y tendrá validez únicamente sobre la parte reparada y siempre y cuando no haya sido manipulado por terceros. Claro nos duele cuando uno va a una acción militar y uno sabe que el que esta allá también es hermano de uno, también es un soldado que tiene sus necesidades y que también es gente del pueblo, pero durante más de cuarenta años hemos tratado de buscar la manera de que esas contradicciones no las resolvamos en el campo de batalla, porque es lo más doloroso. Compre una cafetera cm1 22 hace un mes en media markt se rompio el pocillo y minimoka ni meda markt se hizo cargo de la reparacion por eso minimoka y media markt por pueden cerrar las puertas. Hola, Luis, en este enlace encontrarás todos nuestros Servicios Técnicos Oficiales de la provincia de Valencia para que escojas el que más te convenga y le solicites la pieza que necesitas. Hola, Manuel, seguimos sin entender porqué te han dicho que no había recambios, cuando la pieza que necesitas está disponible y así se le ha informado al Servicio Técnico. Hola Ramón, Para solucionar tu incidencia deberás acudir a un Servicio de Asistencia Técnica. Do you have a spam issue on this site; I also am a blogger, and I was wondering your situation; many of us have created some nice procedures and we are looking to trade techniques with others, be sure to shoot me an email if interested. El contrato tiene por objeto la venta de productos y servicios destinados a la telefonia y sus terminales. Las características de los mismos aparecen reflejadas en las correspondientes páginas de esta web. El proveedor de los productos servicios contratados por el usuario es QUO TELECOM. La cumplimentación y envío del formulario de pedido tiene la consideración de aceptación de los términos del contrato, sin que, en ningún caso, pueda considerarse propuesta comercial. Además destacamos sobre el resto, ya que cobramos un precio bajo y fijo por la revisión y el diagnóstico de la avería de su frigorífico Nuestro técnico le explicará los motivos por los cuales su frigorífico se ha estropeado, y tras realizar la reparación del frigorífico le dará los consejos precisos para que realice los cuidados precisos para alargar la vida útil del frigorífico. La unidad exterior de un equipo split es vital que tenga las regillas limpias y que el aire circule sin dificultad por ellas, de no ser así aumenta la presión en el circuito, pudiendo saltar la proteccón de presostato de ALTA, HP deteniendose el compresor, debemos limpiar una vez cada 1 ó 2 años según la tengamos instalada en lugares con mayor menor suciedad polución, retirando restos de hojas, suciedad y grasa acumulada que puedan impedir el libre paso del aire. The root of your writing whilst appearing agreeable initially, did not really settle perfectly with me personally after some time. Somewhere throughout the paragraphs you actually were able to make me a believer unfortunately just for a very short while. I still have got a problem with your leaps in assumptions and you would do nicely to fill in those breaks. In the event you can accomplish that, I could certainly be amazed. 1,2,4,5,6,7,8,9,10,11,12 is only 11 things. What happened to #3…? Me: Hey freelance client, can I put your project code on my GitHub for everyone to see and fork? También como se especifica en esta pagina nuestro servicio técnico de electrodomésticos hacen desplazamientos y en las comunidades Avila y Toledo Para los residentes en estas dos comunidades ponemos a su disposición una MAPA donde puede consultar de nuestro servicio técnico de reparación de electrodomésticos cubre la zona la localidad de su domicilio. I simply wanted to write a simple comment in order to say thanks to you for some of the magnificent tricks you are giving at this site. My time intensive internet search has now been honored with good facts and strategies to share with my relatives. I ‘d point out that many of us site visitors are very endowed to be in a really good site with very many brilliant people with interesting pointers. I feel very much fortunate to have come across the web page and look forward to plenty of more entertaining moments reading here. Thank you once more for everything. Thank you so much for the great article, it was fluent and to the point. Cheers. It was a very informative article. Thank you. What happened to step # 3? Sorry Kelli, but you really need to do some research before writting articles about this. Very bad information, and this could be unhelpful to some people. Also there are only 11 items, you are missing item 3. I am not sure I understand this post. Don’t get me wrong, It is positive and hopeful! I am doing everything in the article. My biggest challenge is finding a true junior role. Time and time again, I have seen posts for junior roles with 3-5 years of experience. Now they call anything with < 3 years an 'entry level' role. There lies the chicken and egg thing. Where do I find the entry level roles? I have 20+ years of experience in I.T., went back to school, got good grades, focused on web development, and I can't get a job in web development. I take that back. I was hired for a junior role and was let go after two days. They wanted someone more senior as it turns out. I've done side projects, freelance, and I am passionate. Time and time again I am told I don't have enough experience or I am not senior enough. I am in Chicagoland area, by the way. I will keep plugging away and hopefully land something soon. Keep writing great posts! Dude, HTML literally stands for ‘Hypertext Markup Language’. I have been working as freelancer web developer on Fiverr. It’s a pleasure hearing about Hackathon and contribution to open source. I am sure I should contribute there in early age. few years ago..when i started to learn about software engineeering i was totaly unable to understand about the codes.but when time passed then something like curiosity about the techs and how it’s working across the world.then i started to learn about web developing and i am still new for that position and wanna go further and into the depth of web development.guys your’s most valuable thoughts and articles makes me motivated and also inspires myself to do something better.thnxxx to all. Really it saves me.I was really worried about my career…But it gives me a lots inspiration to be started.. This article is cool and it has really lifted by spirit today. I am totally new to web development and I look forward to a bright future in this. We are making the world a better place. This blog explains the details of most popular technological details. This helps to learn about what are all the different method is there. And the working methods all of that are explained here. Informative blog. $71K per year? LOL More like $13 an hour to start if you’re lucky to get picked among a cast of thousands applying for the same job! I didn’t do most of this stuff and I’m a Programmer Analyst now making pretty good money. I did write code for fun throughout my child hood, and was pretty savy before entering college, but I hadn’t really shown anything to anyone. What I had going for me was I could talk to the talk, and I could back it up with in person demonstrations, or face to face’s with their tech leads. What I did was I worked in a factory while going to an online college. I lived at home with my parents while working at the factory and finishing college. When I completed the college (near end of degree) I emailed a local development business (consultant company) about hiring me as a paid intern. They decided to do it and brought me on at $10 an hour. They hired me full time 3 months later at 37k. I worked there 3.5 years and moved on to another company making 50k. I worked there 2 years and moved on again making a lot more than that %50+ more money. I started the internship when I was 26, I’m now 32. I don’t have a blog, any open source code, no portfolio, no freelance work, never been to a hackathon, and my resume is only 1 page with basic skills on it and that’s it. What I do have is a StackOverflow.com profile with decent rep points where I’ve answered a lot of peoples questions. I also have a linkedin profile with some endorsed skills. Aside from experience, that’s about it. This process has allowed me to get where I want to be without devoting my life to it. I still have a personal life, and free time galore. I’m not up till the crack of dawn everyday blogging or checking in to open source repositories just to stay on my game. The job I have now allows me to take training courses on the clock, or do research on a new platform on the clock, so I’m at a place now where I enjoy going to work everyday, and I can look forward to relaxing and setting my work down when I get home. I agree, Sam I did none of this just a good rep from the Company i worked for and school. And i am in the same situation as you. Thank you so much for sharing valuable information. Learned a lot from this article. Thanks again. Fantastic article. Chalk full of great advice! Thanks, Kelli! I call everyone dude. :) Your article is really helpful. Thank you. Love you dude. Completely left out prepping for the technical interview. That’s a huge aspect of it imo. Great article, that was really helpful. I recently started learning html and css. Some of my friends say that I should learn both design and development, sort of a hybrid. Also I don’t have degree. Need help? Great information. I very much appreciate it. That said, the “Explore Github” link is broken. Skillcrush.com is a practical-‘Rise and shine’ opportunity to all things IT.